Gokhru - Tribulus Terrestris - Land Caltrops Plant for health, improve dietary supplement to increase energy, provide healthy hormone function, enhance muscle movement and provide energy. Improves muscle growth and body strength. Reported to enhance libido sexualis and erectile function. Reported to increase the number and motility of spermatozoa. Increases LH levels by 72% and testosterone levels by 41% in only five days. Helps in alleviating some symptoms associated with male menopause. Reductions in high blood pressure. Inhibition of stress-induced clumping of blood platelets. Increases in strength of contraction of the heart muscle. Reductions in sodium and fluid retention. Anti-urolithiatic (urinary/kidney stone preventing) and litholytic (dissolving) activities. Improvement of the profile of red and white blood cells, including V and T lymphocytes and stimulation of the humoral immune system. Anti-bacterial, anti-malarial and anti-fungal properties, anti-inflammatory activity. No toxicity and side effects. Used for disurea, kidney stone and uncomfortable urination. (inflammation at the membrane eye), weak eyesight and anxiety. It is used to cure high blood pressure and flank pain. Tribulus terrestris has been promoted and marketed for athletic performance, muscle mass enhancement, and as a testosterone booster. This herb is suitable for premenstrual syndrome and menopausal syndrome. Tribulus Terrestris herb or called as "puncture vine" is a plant that has long been used all around the world for various diseases. Tribulus Terrestris popularly claimed functioning to improve human sexual. 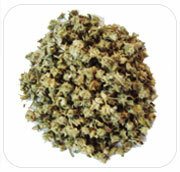 In Europe, Tribulus Terrestris is used in medication. In Greek history, it is widely used to treat ailments such as headache, nervous disruption, constipation, and sexual dysfunction. In China and India, Tribulus Terrestris is used as the remedy for liver, kidney, urinary and cardiovascular. People around the world have used Tribulus Terrestris plant for health, improve libido function to normal rate and strengthen the muscles. Because of its advantages, athletes used the extract of Tribulus Terrestris dietary supplement to increase energy, provide healthy hormone function, enhance muscle movement and provide energy for the athletes during the training session. It is a tap rooted herbaceous perennial plant that grows as a summer annual in colder climates. The stems radiate from the crown to a diameter of about 10 cm to over 1 m, often branching. They are usually prostrate, forming flat patches, though they may grow more upwards in shade or among taller plants. The leaves are pinnate compound with leaflets less than a quarter-inch long. Tribulus (puncture vine) is a vine that has been used as a general tonic (energy) and herbal treatment for impotence, but is found primarily in dietary supplements marketed for increasing testosterone levels in bodybuilders and power athletes. gokshura, shuuadamshtra, swadukantaka, trikantaka, vanashrungata, chanadhruma, ikshugandhika.